Jackfruit is the perfect substitution for shredded chicken in some of your old family recipes. 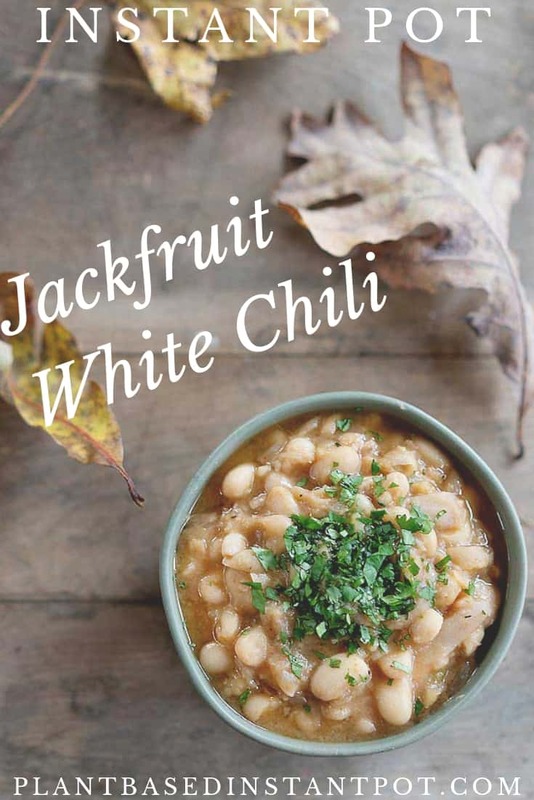 I use it in my Instant Pot Jackfruit White Bean Chili recipe. 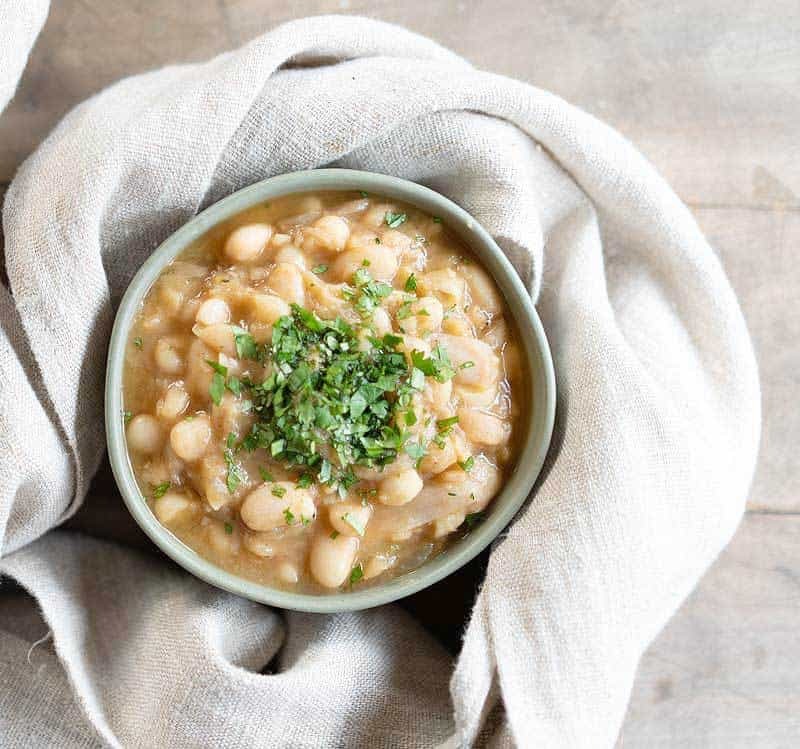 The jackfruit gives this white chili the perfect texture combined with the Great Northern beans. It’s seasoned with mild ancho chili powder, green chilies, and ground cumin. It’s fall and I want soup, stews, and lots of chili. I’m working on my stockpile of beans, so you’ll see them appear in more recipes in the next few months. Jackfruit is the perfect gluten-free and soy-free meat substitute. It looks like shreds and is full of nutrition, though not much protein. I have a whole post about Instant Pot Jackfruit Recipes with tons of information on the miracle fruit if you want to learn more. White chili is usually made with a white bean instead of a kidney bean and has little or no tomatoes added to it. It can have tomatillos or green chili to give it a greenish tint. Traditionally, it has chicken rather than ground beef. 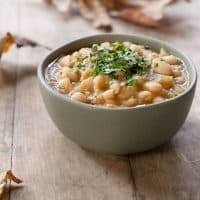 We’re using jackfruit in this recipe to veganize it and make our meatless version of white chili. 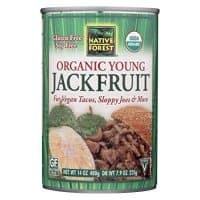 What is Jackfruit and Where Can I buy it? Jackfruit is a giant fruit from India and is grown in other tropic climates. It doesn’t have a strong flavor, so I like to use it in recipes that get lots of their flavors from other ingredients. I mostly use it for texture. The fruit is huge and grow to be 15 to 50 pounds! But don’t have to buy a whole fruit to cook with it. I buy mine canned, and you can buy a small piece of the whole fruit in Indian and Asian markets. Do I Have to Soak My Beans Before I Cook Them in the Instant Pot? People tend to have strong feelings about soaking or not soaking their beans. In this recipe I do soak the beans before hand. For me it often depends on when I decide I’m making the recipe. 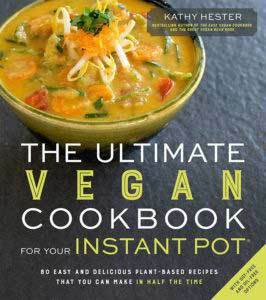 In my book, The Ultimate Vegan Cookbook for Your Instant Pot, I have recipes for unsoaked beans and others for soaked. I will say that your beans will look more like canned beans if you soak them. So if that’s what you’re going for I’d soak. For refried beans and other creamy bean dishes it won’t make a difference in texture. What if I Want to Make this Recipe and I Don’t Have Any Beans Soaked? You can do one of two things. The first is to do a “quick-soak” and the other is to cook longer with extra water. Get the instructions for quick soaking beans over at Paint the Kitchen Red. 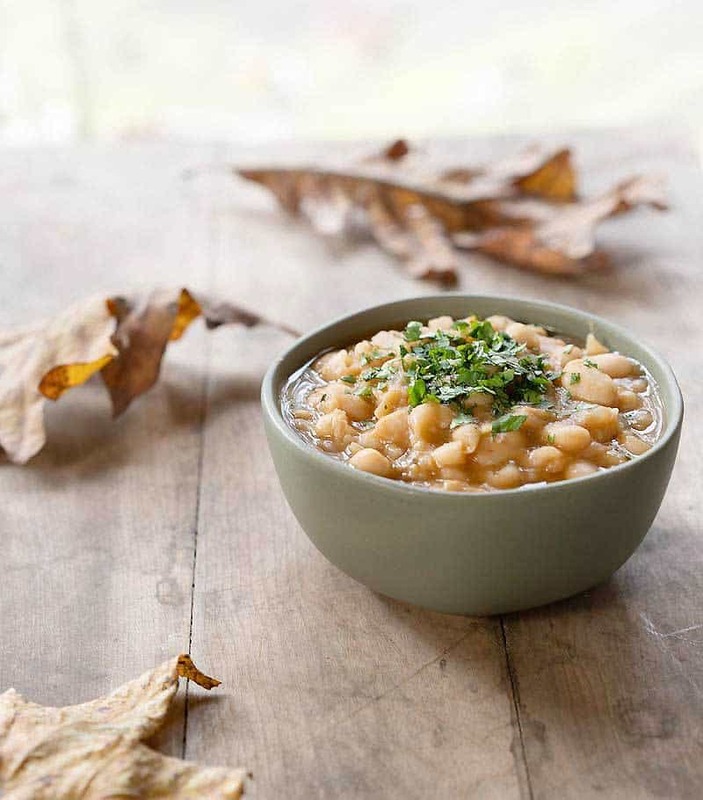 The jackfruit gives this white chili the perfect texture combined with the Great Northern beans. It's seasoned with mild ancho chili powder, green chilies, and ground cumin. Turn the saute function on and heat about 1/2 cup water. Once hot add the onions and cook until translucent. Add the garlic, cumin, and chili powder and saute until the spices become fragrant, about 2 minutes. 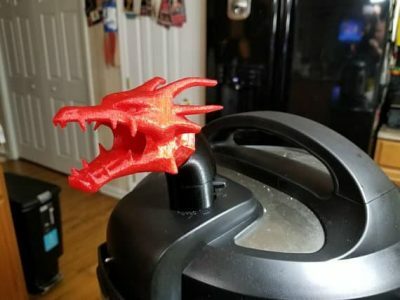 Turn the saute off. Add in the jackfruit, shredding with your hands. Then stir in the water, green chilies, bouillon cube, and soaked beans. Cook on high manual/pressure cook for 10 minutes. Let the pressure release manually. Before servings add the oregano, lime juice, and salt to taste if using. You can serve with your favorite toppings like, chopped cilantro, cashew cream, or hot sauce. Sprinkle bowls with jalepeno powder or jalepeno salt to add an extra flavor burst. 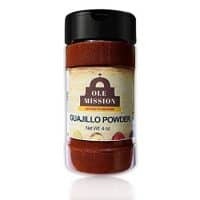 Where Can I Find Ancho Chili Powder? If you have a Hispanic market near you, you can get the ground powder inexpensively. 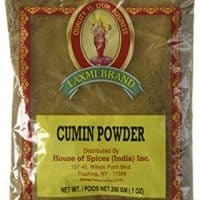 You can order it online or find it in a specialty spice store in your area. Be sure to Pin the photo below so you can find it easier next time. I recommend that you start an Instant Pot board to save all your finds or just follow mine! I do take out the seeds. I use my fingernails or a knife if it’s tough to break the corners into little minced pieces. I love the texture of those pieces in my dish. I sometimes just mash the seeds along with the core using a potato masher. No more seeds. Waste not, want not. ???? White chili was my favorite lunch when skiing in Vermont. When the weather is chilly, I think mocha and white chili! Love the idea of jackfruit. It’ll be perfect. Thank you for this recipe! I just tried it out last night. I like my chili thicker, so I may add a little water or a thickening agent in the future, but I LOVED this! Definitely appreciated the suggestion to add lime juice and hot sauce! Where in the world do you find jackfruit? I buy mine canned, and you can buy a small piece of the whole fruit in Indian and Asian markets. It is also at Trader Joes and you can order it on Amazon. I have lots of links to it on Amazon in the post. Sorry that should be died green chilies.